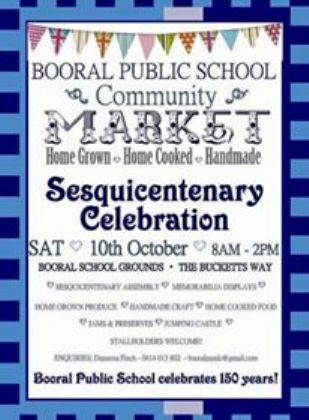 This year Booral Public School turns 150 years old and they’re celebrating on Saturday, 10th October! A day of activities are planned and the Booral P & C is hosting a dinner at the Stroud Country Club. Tickets for the dinner are limited, so book early. Be sure to purchase some commemorative merchandise.